People who love both Christmas and musical collectibles turn to one company: Mr. Christmas. Since 1933, Mr. Christmas Incorporated has created exquisite collectibles and decorations for individuals designing for the holiday, sports fans, builders of Christmas villages, or anyone looking for a personal and commemorative gift. Merril Hermanson, the original Mr. Christmas, was an avid inventor who held numerous patents. During the 60 years of service before his death in 2000, he hired a legion of designers, craftsman, engineers, and musicians to develop original works of art that could be enjoyed all year around. Each piece is carefully constructed with top-notch materials. Many pieces are individually sculpted and hand-painted. Many products are then sent to independent testing labs to ensure quality. All the music is performed in-house, and the staff of Mr. Christmas composes many original arrangements of holiday favorites. The Mr. Christmas company is based in New York City and Memphis. There are three divisions of product lines at Mr. Christmas. The Original Classics series has a kaleidoscope of music boxes, carousels, animated decorations, and Christmas village accessories. There is quite a range of music boxes, so surprise your favorite collector with something unique, such as a Gramophone. The carousels are diverse in both design and song selection. The animated line carries on the spirit of seasonal décor with a host of creative products, such as the Winter Wonderland Holiday Hill. If you'd like to jazz up your holiday display outdoors, Mr. Christmas has a synchronized music and lights unit or an image projector good for any festive season. There is an expansive selection in the Mr. Christmas Gold Label category. 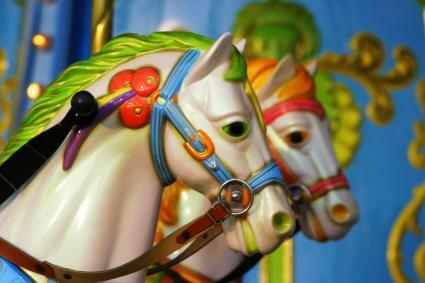 Carousel collectors will delight in adding to their treasures with a World's Fair carousel, or a Nutcracker theater. This category also has a collection of clocks and unusual music boxes. The Mr. Christmas website has a convenient store locator for every product you might desire. Simply plug in your zip code and preferred distance on the product page. If that doesn't work, the wholesaler page will list North American and international contacts. Online shopping on the company's site is not available. Yes Virginia, There is Another "Mr. Christmas"
Also known as Wally Bronner, this gentleman celebrates the season with what is known as the "World's Largest CHRISTmas Store." Bronner launched his now 40-acre Christmas wonderland in 1945 in the basement of his parents' Frankenmuth, MI, home. He is called "Mr. Christmas" not only for his business but also because of his unwavering Christian faith. He insists that all references to Christmas be spelled with "Christ" in capital letters, and the company's motto is: "Enjoy CHRISTmas. It's HIS birthday. Enjoy LIFE. It's HIS way." At Bronner's, you'll find more than 50,000 decorations and gifts for Christmas and otherwise. In addition to thousands of Christmas ornaments, including one-of-a-kind designs created by Bronner, shoppers will delight in the selection of Christmas trees, lights, stockings, Advent calendars, cards, nativity scenes, and more. Bronner's also carries other collectibles such as Hummel's figurines and Precious Moments, perfect for gift-giving. Can't make it up to Michigan's "Little Bavaria" area? Shop Bronner's online.